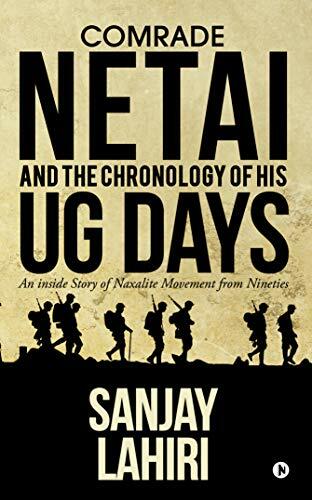 Comrade Netai and the Chronology of His UG Days is a personal and emotional story of Naxalite movement in the 90’s. Why was this an important book for you to write? There are multiple reasons behind writing this book. First point is obviously, I had this experience which I wanted to share with others. Second- To my knowledge perhaps this phase of Naxalite movement (Now Maoist) has not been captured by any novelist since whenever Indian literature refers Naxalite movement they refer seventies and moreover tries to represent in black and white; quite contrary to the reality. Third- I wanted to raise the question – how come that all socialist revolution ended up of being suppliers of cheap labour and eventually strengthening the philosophy which they supposed to overthrow. Can any changes be called revolution. I took ten years to complete this novel. Netai is an interesting character that I enjoyed reading about. What was the inspiration for his character and development through the story? Thank you. Inspiration was my experience. The dedicated marginal people (although may not be quite clear about the philosophy) and squalor and deprived life I witnessed. This book gives a unique look at the considerations given to decisions, elections, and organization of a revolution. Were you able to provide any personal experiences to this story? 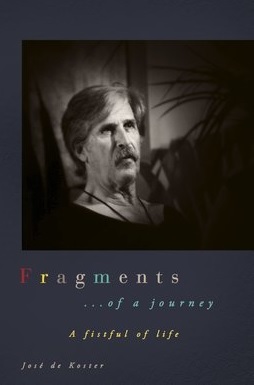 Yes, apart from this book I am having many experiences which I think need another book to share. However, I would like to share one of the most painful experiences i gathered and which still haunts me. There is small place name Manoharpur in Singbhum district (now in Jharkhand but then it was in Bihar. i am talking about 1990) adjoining to Orissa and known for mines of iron ore mostly dominated by a big house. From Manoharpur about 30 to 40 km away there was village named Tonto. There was no proper communication from Manoharpur to tonto. Only one bus plying in morning and evening. otherwise there was commercial lorries which carried people too. Apart from that there was only one goods train carrying iron ore.Otherwise those places were not accessible. I was surveying those ares on behalf of my organization and along with one of my colleagues we reached to that village-Tonto. The first hut we arrived found the door was ajar. I peeped through and found some people stood moaning surrounded a person lying on a sagged charpoy. One of them saw us and rushed to us with a gesture of help. We were not able to communicate as we did not know their language neither they. The figure of the person, lying on charpoy, sent shivers down my spine. The skeletal structure was lying spreading its arms across. A white thin cloth was wrapped around waist. The breast squeezed to such an extent as if stuck to bare protruding ribs and i took some time to realise it was- she. Her slimy eyeballs were moving slowly inside the socket. Her tongue was intermittently flicking out from her wizened mouth; as if trying to taste life. They took me as a medical practitioner and requested me to save her. No they were wrong i was not a medical practitioner however, usually, I would carry some basic medicine but I knew that would not work. Literally we escaped from the spot just providing them some medicines. That moment and that figure still haunts me. My next book is- A Joker and A Witch. When it will be available – only time can say. In the nineties, he joined to a splinter group of Naxalite to be associated with the ongoing struggle for the emancipation of the working class and was rechristened as Netai. However, in subsequent years, he was dismayed seeing the peer rivalry, manipulation to grab power in the organization. Walking with the arms squad, Netai realized that, to the party, the expansion of arms struggle was the sole yardstick of revolution. Netai’s home turned into a permanent shelter of comrades and gradually thrown into disarray with aimless siblings, cataract ridden mother and a lonesome father, still a sole bread earner despite being retired from a government job. Posted on January 19, 2019, in Interviews and tagged alibris, amazon, author, author life, authors, barnes and noble, biography, book, book club, book geek, book lover, bookaholic, bookbaby, bookblogger, bookbub, bookhaul, bookhub, bookish, bookreads, books of instagram, booksbooksbooks, bookshelf, bookstagram, bookstagramer, bookwitty, bookworks, bookworm, Comrade Netai and the Chronology of His UG Days, ebook, goodreads, ilovebooks, india, indiebooks, kindle, kobo, literature, memoir, military, naxalite, nook, novel, publishing, read, reader, reading, shelfari, smashwords, soldier, story, war, write, writer, writer community, writing. Bookmark the permalink. Leave a comment.